The metamorphosis of the old Albury Regional Art Gallery and its heritage building into the new contemporary art museum that is MAMA (Murray Art Museum of Albury) is all but complete. After an 18-month closure and rebuild, MAMA opened her doors last October. While not aiming to emulate a MOMA or MONA, the wink in their direction is appropriate. MAMA is a bold step toward a total transformation of Albury’s relevance in the cultural and contemporary art landscape and, in particular, the way Albury’s rather conservative population engages with art. 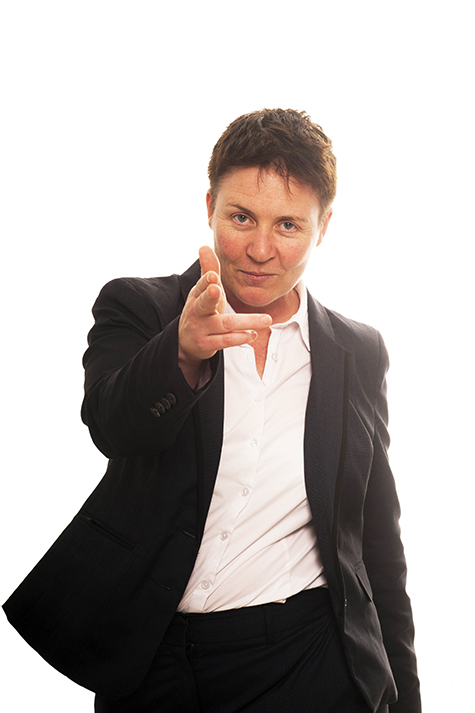 Hemsley has invested considerable energy to change that. 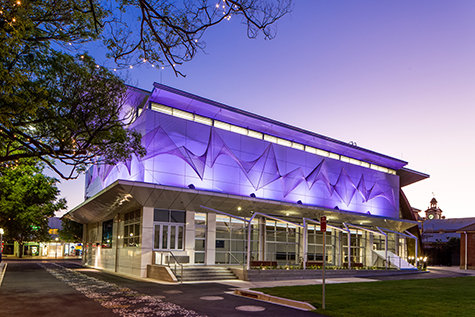 Heading up AlburyCity’s Cultural Services for the preceding six years, she was a key driver behind the significant achievement of securing community support and $10.5m to create the impressive new AAA-rated, 2,036-square-metre facility. Now, with the gallery yet to make a permanent appointment, Hemsley has been seconded as its caretaker director to ensure MAMA unfolds as envisaged. Hemsley has been the director of other public art galleries: Latrobe Regional Gallery prior to moving to Albury; Broken Hill Regional Art Gallery, where early in her career she oversaw its $2.6m redevelopment; and Southland Museum and Art Gallery in New Zealand, where at the time she completed a Master of Arts plus post-graduate qualifications in both Accounting and Arts and Entertainment Management. Given she’s worked exclusively in the arts, I was surprised to hear her undergraduate degree was in business. It wasn’t her idea. Her dad promised her a car if she would postpone archeology studies in favour of business. “An 808 Mazda station wagon! What was I thinking?” It does seem a rather unimpressive trade-off, yet perhaps it illustrates Hemsley’s pragmatism and willingness to embrace economic imperatives while maintaining the deeper cultural interests that also sustain her. It’s apparent she brings this approach to the direction of MAMA, which has her cheerfully and matter-of-factly using the term ‘bi-polar’ a number of times, to describe programming and operational agendas. Blockbuster exhibitions like Marilyn Monroe: An American Icon, MAMA’s second and current major exhibition, might seem populist to some, but shows like this will be the bread and butter for MAMA, important in attracting visitors from outside the region and significantly higher attendance by locals. Getting people through the door is essential, and Hemsley articulates a completely revisioned model for the facility which focuses on enhancing the audience experience, even before one sets foot in the building. AlburyCity’s public art strategy and landscaping of QEII has allowed digital media infrastructure to be embedded throughout the public square and neighbouring city lanes, extending and building on the gallery and LibraryMuseum’s use of their glass frontages as digital galleries. Conduits for sound filaments and large video screens, CAD5 cabling and hollow poles to house additional cabling will enable the first of a curated new media program by the end of 2016. Hemsley says it’s part of creating ‘art by accident’ experiences which will be an intrinsic part of transforming Albury into a creative city. Festivals like Sydney’s Vivid and Melbourne’s White Night have showcased the possibilities for application of new technologies, and a priority for Hemsley is to have MAMA play a role in developing the creative industries with artists, designers, architects and digital media professionals working together. Her long-term vision is for the region to become a mecca for the creative community. Partnering with LaTrobe University to deliver an arts degree in Albury is part of this plan. The museum’s opening party featured Craig Walsh’s 2007 projection installation, Incursion, filling the foyer of Albury Entertainment Centre with water, floating furniture and giant fish. Opposite, on the southern edge of the public square, coloured light washes picked up Matthew Harding’s stainless steel sculpture, Cross-Knit, suspended atop MAMA, and the stonework and steeple of the church on the west side. It was a mini-taster of what’s possible as MAMA seeks curators for the various digital galleries and media elements, developing programs that integrate local, national and international artistic engagement. It’s not all about spectacle on the outside and blockbusters on the inside however. With 10 flexible gallery spaces, MAMA will present more than 50 shows a year, curating 70 percent of its exhibitions and commissioning new works. MAMA’s major opening exhibition laid out its commitment, not only to new and challenging contemporary work, but to contemporary Indigenous artists. Presenting new work by Wiradjuri artists, Wiradjuri Ngarumbanggu included a large-scale site-specific piece by Brook Andrew and Jonathan Jones’ Diamond Light installation. 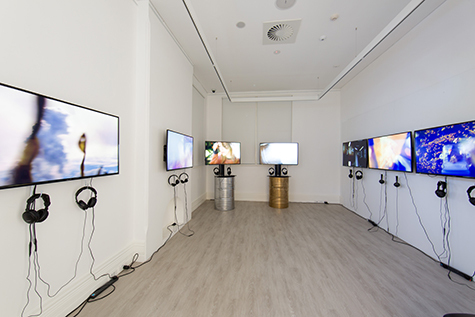 The small Quest gallery, wholly dedicated to screen and digital media, recently showed Imagining Victory, a trilogy of provocative and political video works by Richard Bell dealing with the uneasy relationship between Aboriginal peoples and white Australian hegemony; and new work by Christian Thompson is on Hemsley’s wish list. At minimum, half the program will feature screen works, installation and new media. The entire gallery has been designed to accommodate new technology, 3D and multi-media work. Furthermore, digital mediums present significant opportunities to engage and collaborate at an international level without the cost and transport logistics of material art forms. Hemsley’s intention is that MAMA build its own collection of new media and multimedia works. The recent show, Current, occupied the Quest and adjacent galleries and featured new work by national and international artists working in photography, video and sound art to explore issues of sustainability and describe the industrialised landscape of the Bogong High Plains hydro-electricity scheme. It was a project of The Bogong Centre for Sound Culture, established by sound artists Philip Samartzis and Madelynne Cornish, as a site for facilitating residencies and works that interact with the place, its inhabitants, geographic space and memory. Sonic Splendour incorporated a survey of music video clips by local photographer and filmmaker Andrew Pearce and the Backyard Bonanza project, which teamed Pearce with Vic McEwan, regional music producer and installation artist, to support three local emerging musicians in creating world class music videos. Four miniature installations by UK artist, Slinkachu, made use of child-height peephole wall cavities, continuing the art-by-accident experience inside the building. The Little People Project placed miniature figures in humorous and precarious situations, such as floating in an upturned bottle-top on a puddle of beer leaking from a stubby lying on its side. New works currently on show include Sydney artist Julia Davis’ time-lapse video Consilience: as the world turns, projected to fill one wall of a small dark room, while another gallery has been transformed by Sydney-based Mona Ryder’s surrealist sculptural installation Dance me to the end of night. Upcoming works include AgX by Grayson Cooke, from Lismore, and One on One by Ella Sowinska from Melbourne. The more frequently rotated, experimental and challenging shows, in tandem with the ‘art-by-accident’ strategy, are what Jacqui Hemsley believes will ultimately underpin the story of MAMA’s projected success. They might only be a peripheral part of the experience for many but will sustain a developing creative community, opening up perceptions and possibilities. For now, the task is to put Albury on the map as a destination for national and international artists to show their work. MAMA welcomes expressions of interest from artists to exhibit.